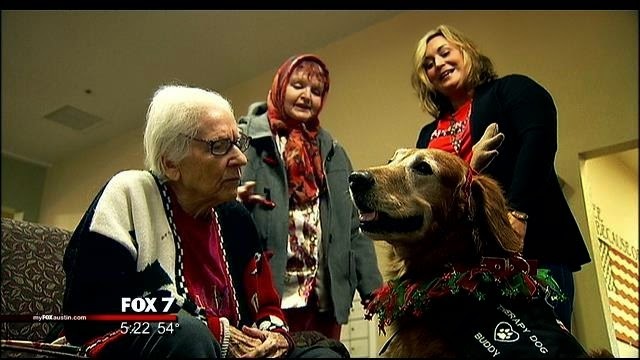 Four legged friends are making Christmas Eve a little bit brighter for area nursing home esidents. Buddy, Mollie, Blue, and several other therapy dogs snuggled up with residents at the Clairmont Retirement Community. 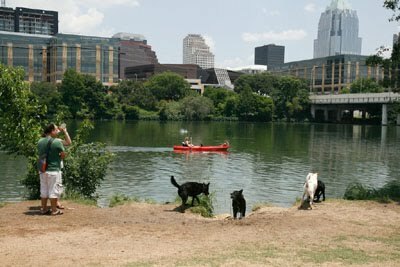 The dogs are part of Austin Dog Alliance. This is the 5th year for the group to visit residents on Christmas Eve. In all, volunteers will visit a total of nine locations Wednesday. The alliance says studies show therapy dogs can make a difference in how a patient recovers and even help lower blood pressure. “When you see the smiles on their faces, just by bringing a dog in is extremely therapeutic and makes everyone smile and nothing better than making someone happy," said Erica Simono with the Austin Dog Alliance. This year, 120 alliance pet therapy dog handlers and their partners visited more than 100 hospitals, nursing homes and hospices in Austin. They gave more than 3,500 volunteer hours.